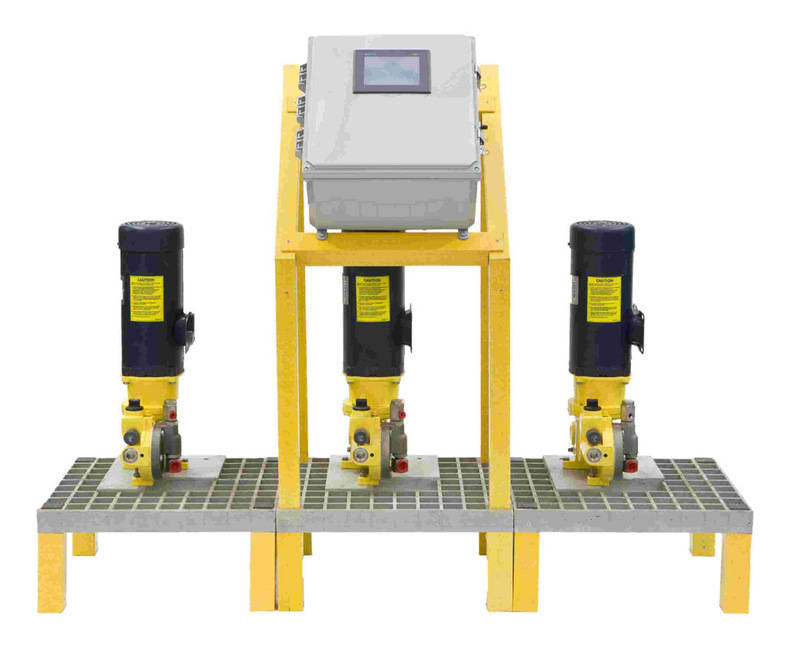 GDR Nutrient Injection Systems accurately and reliably apply up to three different nutrients with the simplicity of digital touchscreen control. Our systems offer superior nutrient monitoring and application. The NEW touch screen facilitates superior nutrient monitoring and control, consistent growth and maintenance characteristics, better root structures and greater pest and disease tolerance. DC variable speed drives provide the controlled injection of liquid fertilizers, based on flow, into the irrigation system. This process, known as "fertigation", proportionally feeds nutrients in to the water system based on user-defined inputs such as reates per acre, time of day, and day of week.